I am an assistant professor in the computer science department at University of Georgia. Before joining UGA, I was a postdoctoral research associate working in Prof. Daniel Kifer's machine learning lab at PennState university. I received my Ph.D. in computer science in 2014 from Purdue university, where I studied privacy-preserving data analysis techniques under the supervision of Prof. Chris Clifton. Before joining Purdue, I was a member of database group at Yonsei university where I obtained my master and bachelor degrees in Computer Science. 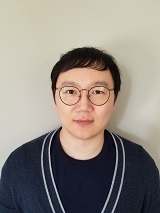 During my master study, I did research on developing efficient stream mining algorithms for high-dimensional data streams under the supervision of Prof. Won Suk Lee.